After School Art Classes for Children. Weekly Drawing Classes & Painting Art Classes for Kids. 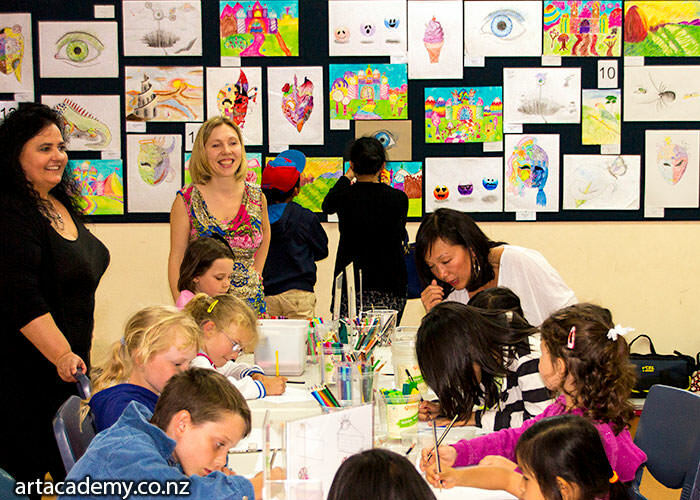 Weekend Kids Art Classes at Schools in Auckland Area. Realisticus Drawing Programme for Kids is most inspiring and exciting. Realisticus Art Classes will teach young kids how to communicate visually. Inovatorix Drawing Porgramme will develop imagination, creativity and innovation. At Realisticus Art Academy, art school for children, we teach amazing Realistic Drawing Skills that children aspire to have. Once mastered, Realistic drawing skills become your Skills for Life. Just like riding a bike, this is one skill that does not evaporate with time as the whole brain is involved in drawing from the logical to the creative, Left and Right side of the brain working well together, united to communicate visual ideas, thoughts and processes. Creativity does not start on an empty space; you can't be creative in drawing, if you can't coordinate your eye and hand, if you don't have seamless control of the pencil. When starting from mastering the basic control, working from the reality, it opens up the pathway for the child to communicate visually his/her dreams and vision of the inside world, outside world, our time and the future. At Realisticus Art Academy we believe: "If you can’t speak… how you will tell a story?" So drawing is a language, but what makes it different from all other languages is that it is the most natural to us and to our brain. As kids, we first see the world, explore it then touch it, then we try saying something and it may not make any sense at first like a doddle in drawing. Then we listen to our parents and our first word comes out, just like the first stickman you would draw. But to progress further you really need to visually study how the world looks, observe and then try to learn how to show what you see on paper. Once a child is able to do that, then he/she is ready to try and communicating what he/she imagines and dreams about. Then everyone will understand your language. The best thing is that visual language is understood by all the nations of the world and it does not need translation. 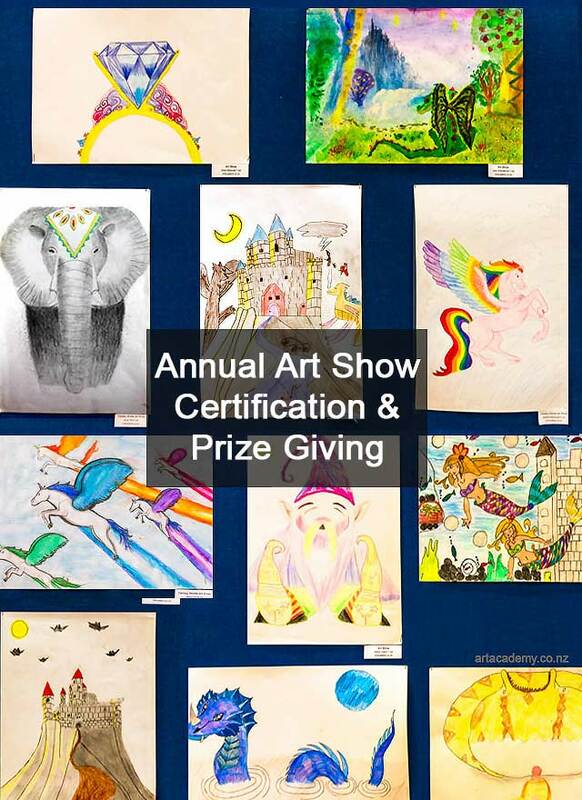 Research shows that children become happier, more confident and achieve higher results at school and in life, once they learn to communicate their creative ideas through drawing. Receive cool drawings tips & updates on art classes available near you. If you have not yet been to Realisticus Drawing Programme for Kids you are missing out :)This is a unique programme specifically developed for kids ages 5-12 to learn the amazing drawing skills and to fuel their imagination, creativity and potential for innovation.Realisticus Drawing Programme - comprises of Realisticus Art Classes and Inovatorix Art Classes. School Term Art Classes go for 9 weeks each School Term. 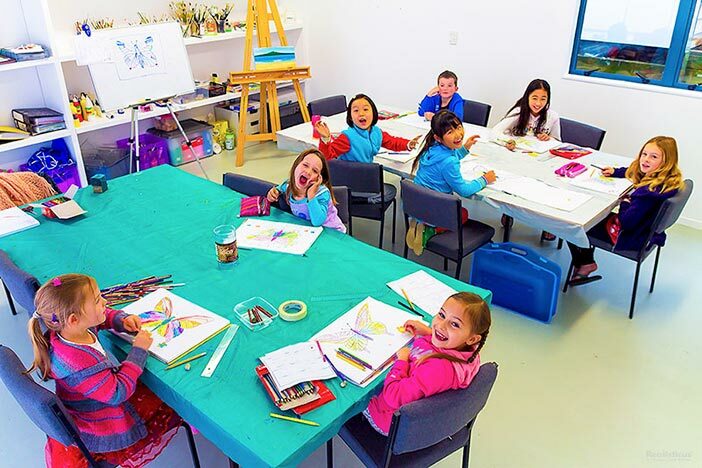 Students attend the classes once per week, after school or on the weekend.During the School Term, students can book into Realisticus Art Classes. 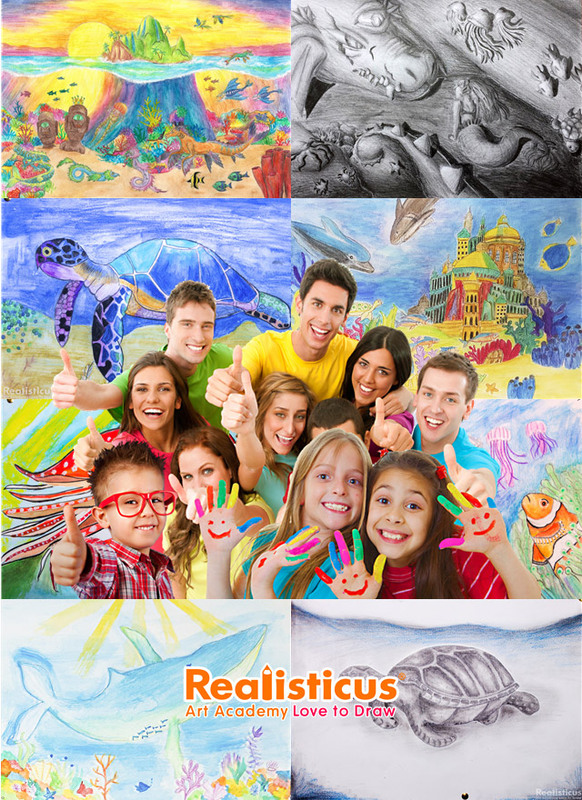 At Realisticus Art Classes they will be studying a variety of fun topics, developing a range of Realistic Drawing Skills for Life, fuling their imagination and assisting the development of photographic memory. Holiday Art Classes will also be available for Kids to book. On the School Holidays students can book into Inovatorix Art Classes. At Inovatorix Art Classes kids will be learning to be more innovative and creative, think outside the box and communicate their ideas visually using the correct realistic drawing techniques. Highly creative activities are developed to boost kids imagination, kids get excited and inspired to create. Learn from reality and create the world of your dreams! 1. COMMUNICATE - One picture is worth a 1000 words. Visual language is an international language. 3. BE HAPPIER - Drawing the emotions you feel helps to deal with that emotion. 4. WRITE - Drawing develops great eye-hand coordination for handwriting. 5. SEE - Great observation skill start with drawing. 6. REMEMBER - Drawing helps with short-term memory and photographic memory development. 7. UNDERSTAND - Most man-made objects had been a drawing at some stage of the process of creation. Studying them through drawings helps us understand how they work. 8. CONCENTRATE - Making a good drawing takes time and patience, children learn to concentrate on a task for hours and truly enjoy it. 9. PROBLEM SOLVE - When you draw you have a multitude of choices to make, each one leading to a different result. Developing critical thinking and problem solving skills. 10.CREATE - Ability to draw what you see, alter reality and create a fantasy world of your own! 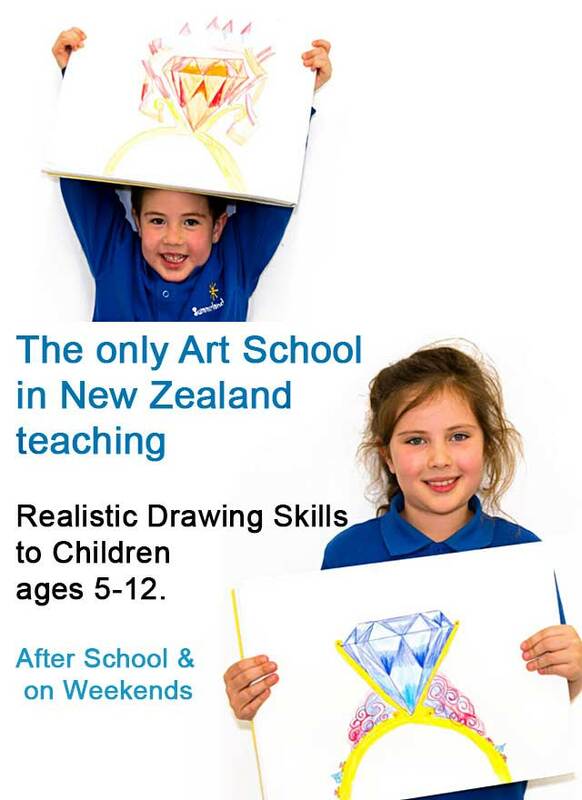 Realisticus Art Academy Welcomes Students from Auckland areas: Albany, Birkenhead, Browns Bay, Mairangi Bay, Epsom, Glenfield, Greenhithe, Henderson, Helensville, Herne Bay, Hobsonville Point, Kohimaramara, Kumeu, Mairangi Bay, Manukau, Massey, Mission Bay, Mt. Albert, Mt Eden, New Lynn, Newmarket, Orakei, Oratia, Parnell, Point Chevalier, Ponsonby, Remuera, Riverhead, Royal Oak, Silverdale, Schnapper Rock, St Helliers, St Lukes, Takapuna, Te Atatu South, Te Atatu Peninsula, Waitakere, Westhaven, Whenuapai, West Gate, West Harbour.